Only complaint I have about this fern is that the fronds break easy. It is growing taller than I expected and looks good and healthy where I wanted it to grow. Doing well in the shade and place that I have them planted. Good value and they seem to have rooted well. Hopefully this spring we'll have nice plants. Sensitive Fern, as its name implies, is quite susceptible to frost and cold weather, and will typically die down over winter weather. Individuals wanting an evergreen fern should consider other options. That said, the Sensitive Fern is quite hardy to sandy, acidic, or saturated soils, and can be a great option to dress up moist areas around streams or ponds. The native range of this fern is quite massive, venturing south from Newfoundland as far west as the Dakotas, and then reaching as south as Florida and Texas. Sensitive Ferns perform their best when they have been planted beside waterways or ponds. The fronds of Sensitive Ferns are mildly toxic, and should not be planted in areas where children or pets roam untended. This fern when mature grows small berries towards the foundation, and they turn brown during the fall months. These are great to add to water gardens and other areas, and they bring lots of colors as they grow and become mature. Sensitive Fern usually will die out during the colder weather conditions and also if it receives frost but comes back the following year with gorgeous color. 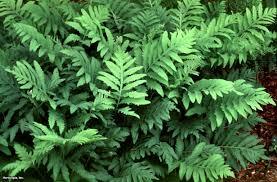 These are more sensitive than other ferns and may need a little bit more attention to growing them to become healthy. These ferns are unusual when added to flowers gardens with brightly colored flowering plants. This is a great way to add an exclusive look to gardens and other areas on a lawn. 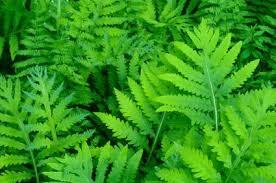 The fronds of the Sensitive Fern are susceptible to frost and hence its name. The plant can spread quickly to form large colonies. It releases the spores in spring after the production of fertile fronds. It has sterile and fertile fronds. The plant grows on the shores of river, swamps, lakes, and wetland margins. It has lobed compound leaves which grow from a rhizome located on the top or under the ground. The leaves are green. Its leaf stalks have scales but do not have any hairs. The length of the Sensitive Fern's leaf blade ranges from 12 to 35 centimeters.